George Robert Carter was the second Territorial Governor of Hawaii, serving from 1903 to 1907. He was born December 28, 1866 in Honolulu. His mother was Sybil Augusta Judd, daughter of Gerrit P. Judd, and his father was businessman Henry Alpheus Peirce Carter. Carter was educated at Fort Street School in Honolulu, Phillips Academy in Andover, Massachusetts, and Yale University. He married Helen Strong, daughter of Eastman Kodak president Henry A. Strong April 19, 1892. They had four children: Elizabeth, Phoebe, a daughter who died on June 17, 1903, and George Robert, Jr.. After Yale Carter spent time serving an apprenticeship with Seattle National Bank. He formed a rowing club with William Brownell Goodwin, fellow Hawaiian Hiram Bingham and Marshall Latham Bond whose members turned their boats over to the University of Washington when it broke up. In 1895 Carter returned to Hawai?i to become the cashier of C. Brewer & Co., where his father had been a senior partner from 1862 to 1874. From 1898 to 1902, he helped organize and manage the Hawaiian Trust Company, and was managing director of the Hawaiian Fertilizer Company. 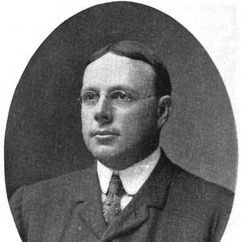 In addition, he served as a director for Bank of Hawaii, C.